A museum curator acquires displays, cares for, organizes, develops and oversees collections of artifacts or works of art and valuable historical items. Read on to learn more about career options as a museum curator. The primary job of a museum curator is to acquire items for collections and this involves selection, purchase and borrowing items of art. The museum curator has to examine the items and check for their authenticity and present condition before planning to display in the museum. A museum curator has to catalogue and organize records of museum items and exhibition of collections. It is the job of a curator to maintain the collections in coordination with other technicians and conservators. Museum curators organize educational and public outreach programs. They assist in organizing tours, workshops and classes. Curators also organize displays and exhibitions. They lecture and write about collections and answer public enquiries. Museum curator's job includes traveling or arranging for loan exhibitions. Curators handle objects found in cultural, biological and historical collections such as textiles, paintings and sculptors. Museum curators are responsible for ensuring that rare and unique specimens are preserved for future studies by other scientists. Curators help to retain the legacy of a wide variety of selected objects for posterity. Museum curators are also involved in publicity and fund raising. They are expected to participate in grant writing to support their projects. In several museums, curators also manage budgets. Identifying and researching for items of value is the domain of a curator. Museum curators help in publication programs and establishing networks with other professionals whenever necessary. A museum curator usually requires to hold a graduate degree, post graduate certificate, diploma or masters in museum or heritage studies. Specialization in particular area such as archeology or fine arts, anthropology or decorative art, natural history or science or technology will help. Ideally having double master's degree, with one in museum studies and other in a specialty will help to stand out above most in the job market competition. 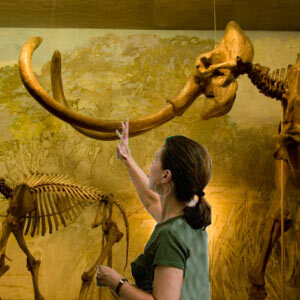 The position of a curator in a natural history or science museum may require Ph.D. degree as well. Related work experience is preferred by most employers. Many curators work in museums while completing formal education to enable gain hands-on experience which is required. An in built ability for scholarly work should be a distinct advantage. Museum curators need computer skills and ability to work with electronic databases. Creative flair to design and present exhibits in a novel and attractive fashion and build / restore objects. Understanding of methods for dissemination of information to the general public. Normally in large museums curators have specialized responsibilities. In smaller museums they have a wide range of tasks to perform. The working environment of curators is bound to vary depending on the kind of museum they are engaged in. For instance, curators who work in zoos, botanical gardens and outdoor museums have to frequently walk great distances. This is also true of curators working in historical sites. While some curators spend most of their time working with the public by providing reference assistance and educational services, some others perform research and process records which mean working alone or with few assistants. Those curators who restore and install exhibits have to perform physical tasks of lifting heavy record containers and objects, climbing and stretching. Curators use professional assistance from archivists, conservators and museum technicians to perform the management and maintenance task of the museum. Archivists help the curator to maintain records. They ensure easy retrieval of documents. Conservators perform the task of managing, caring for, preserving, treating and documenting works of art and artifacts or specimens that may require substantial historical, scientific and archeological research. Conservators also document their findings to minimize the deterioration and to restore them to their original state. Museum technicians assist the curator in preparatory and maintenance tasks on museum items. Some technicians help the curator with research work.